Craig Reedy was born in 1952 and raised on the waters of Edmonds, WA, where his father had him salmon fishing at age 8. He learned about fishing, boating, and how to tie his own gear. He treasures those times he had with his dad and loves fishing! 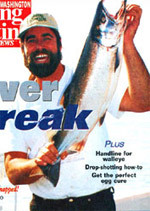 Craig Reedy now has over 40 years of experience Salmon fishing. Just like his times with his dad, he wants your time to be a fun-filled adventure and an experience you'll treasure! 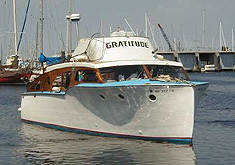 Renew Your Attitude on M/Y Gratitude! The M/Y (motor yacht) "Gratitude" is surveyed to comply with updated safety equipment. The layup of the boat allows plenty of room for up to six people. She has bench seats and the cabin has two couches. 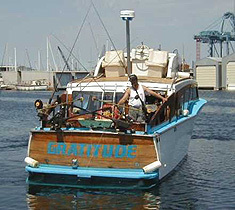 The motor yacht "Gratitude" is the largest salmon troller on the Puget Sound and has been described as "fishing in style" by Editor Wayne Cruse of the Everett Harold Newspaper. Last surveyed on July 2004 by Global Surveyers.